2006 season plans for many race teams are coming together rapidly and Kruse Motorsport is no different to most in that respect. 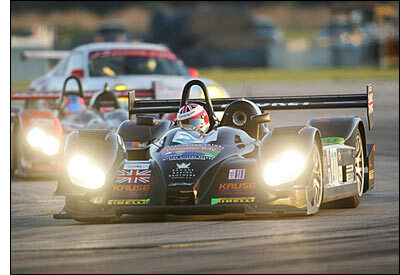 Kai Kruse's merry men showed excellent pace with the pair of Courage C65s they campaigned in 2005, and the Judd-engined car will be back in the team's hands for the coming season. "We showed strong performance at more or less every event (Sebring [right], Le Mans, Silverstone, Monza, Nurburgring and PLM) where we participated in 2005," says the team owner. "But we suffered with a run of supplier linked (four different electric looms in the car!! ), vibration problems to our A frames, etc. "Our lack of experience with this sort of car showed early on and we gave ourselves too little preparation time for the beginning of the 2005 season. "We've learnt from those tough lessons though and made a major investment in putting a team of suppliers in place for 2006 that we have confidence in. Many of them are suppliers to the factory teams too, so they understand the need for quality and reliability in this form of racing. "We are in final negotiations with a tyre supplier for the season too. I hope we can stay with Pirelli: their rain tyres are fantastic and we never had a single puncture during the season. I think not every tyre supplier is able to say that! 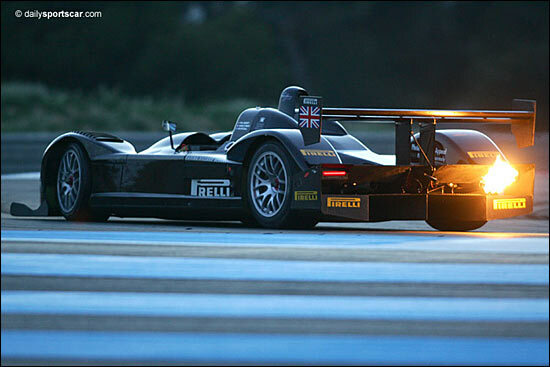 "We are looking to take the car to Sebring and of course we hope to be invited to race at Le Mans. We're looking at the calendar to determine whether or not we race at Petit Le Mans or do the full Le Mans Series calendar. To finish at Laguna would be fantastic, but in the end it depends on sponsors and drivers. "I expect a the level of competition in LMP2 to be very high this season with the Lolas, Radicals, and Courages, I don't expect many of the new LC75s will be out this year, but I think the Pilbeam with the Judd now can also be a surprise. We are looking to get our fair share of the champagne though. "We will also race again in the German long distance championship (VLN) with our BMWs. We are getting a new E46 V8 and are looking for some good races there too." A busy year ahead then for Kruse Motorsport - Kai's not too busy though to speak to anyone keen to talk about filling a seat in the Courage or his BMWs - call him on +49-179-7955672.